Scooper - Technology News: 'Good people of the world unite.' How can we win the fight for tolerance? 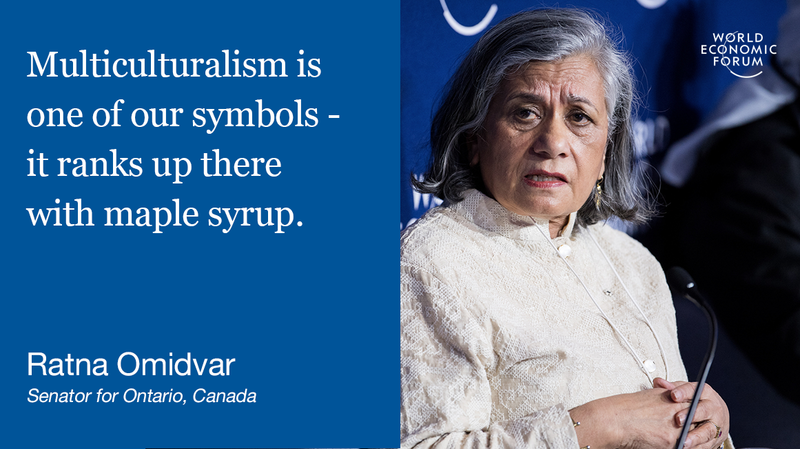 Leading thinkers, activists and politicians shared their thoughts on the fight for more inclusive growth and greater social inclusion, during several Davos sessions focused on tolerance, racism and LGBT reforms. “I want to call all the people of good intentions. We have to organize, we have to join together to fight together. I don't say, like Marx, workers of the world unite; I say good people of the world unite,” said Abdallah bin Bayyah, President of the Forum for Promoting Peace in Muslim Societies, in the session Tolerance at the Tipping Point? On the same stage, Brendan Cox, Director of campaign group More in Common, agreed that unification is crucial in the fight against intolerance: “We've spent a lot of time talking about diversity and not enough talking about what binds us together. Cox's wife, British Member of Parliament Jo Cox, was murdered in the run-up to Britain's referendum on Brexit. Omidvar also cited research that shows how investment in refugees can result in greater economic returns – a theme picked up in another discussion on racism . In an earlier session focusing on the progress of LGBT reforms and tolerance within business , Scott Brison, President of the Treasury Board of Canada, said it was obvious why all companies should push for a more diverse workforce: “Every big company and most small companies have LGBTQ2 members working for them. The question is do you want to maximize their full capacity and productivity of those people? The panel, which included Lisa Sherman, President and Chief Executive Officer of the Advertising Council in the US, and Sander van't Noordende, Group Chief Executive, Products, at Accenture, agreed that companies that have shown themselves to be diverse and supportive of LGBT reforms, such as Salesforce's challenge to Indiana's "religious freedom" law , will be more attractive to the younger generation. “When you're talking about Millennials, this is something that is driving and will drive change in terms of markets and consumer demand, and in terms of citizens and what they demand from their governments,” said Brison. Fellow panellists Sherman and van't Noordende echoed this sentiment, saying it has been businesses and business leaders that have recently led the charge against anti-LGBT legislation. “That is where you hurt states, that is where you get attention,” said Sherman. “What companies, NGOs, organizations do – that is so important to persuade governments to do the right thing [in terms of LGBT reform],” said van't Noordende.